One of the most famous cities in the world, New York City is without a doubt an experience of a lifetime. There are iconic sites at every turn and barely enough time to see them all. 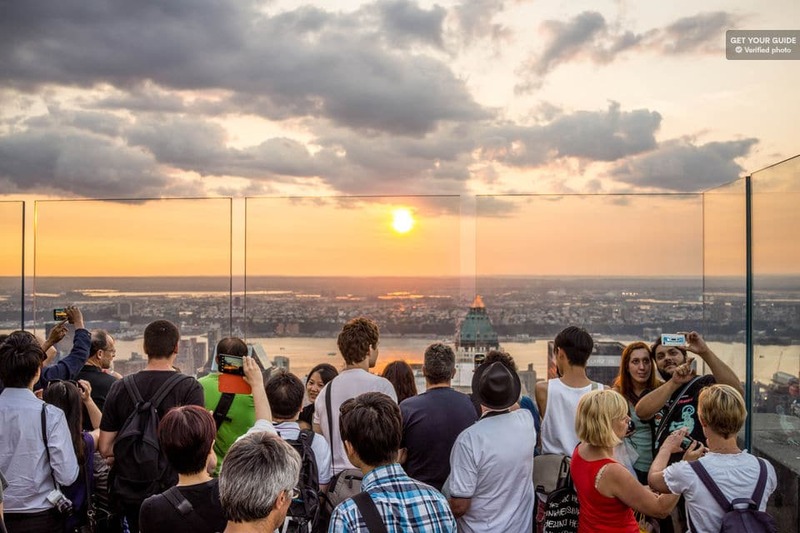 From world-famous attractions, like the Empire State Building, Times Square, the Statue of Liberty and Central Park, to more recent additions like the One World Observatory and High Line, the long list of famous attractions packed within a compact area makes The Big Apple unlike any other place on earth. So numerous are the things to see and do that it can be hard to figure out where to start, so what better way to experience the big city than by taking a tour (or two)? Check out our selection of the 15 best New York City tours to give you ideas of what to do in the city that never sleeps. The Empire State Building is one of New York’s many landmarks, and one of the most visited places in the East Coast city, with upwards of 3.5 million visitors a year. This popularity makes the lines exceedingly long, eating up a lot of your precious time. This pre-booked ticket allows you to skip the long lines – except for the mandatory security and elevator lines. With a one-month validity, it gives you the flexibility to plan your visit to the Empire State Building around the weather. 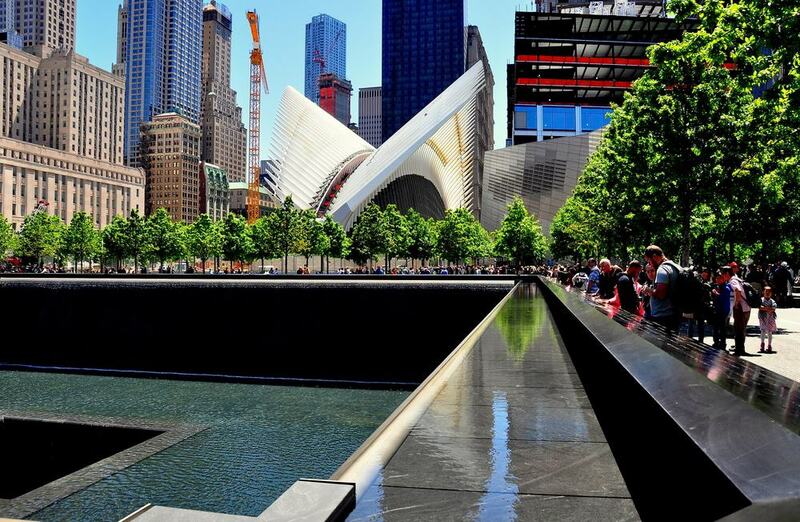 The 9/11 Memorial & Museum is one of the best selling tours in New York. Having a pre-purchased skip-the-line ticket can only be a bonus. This allows you to squeeze the most out of the allotted three hours so you can enjoy the whole experience fully. 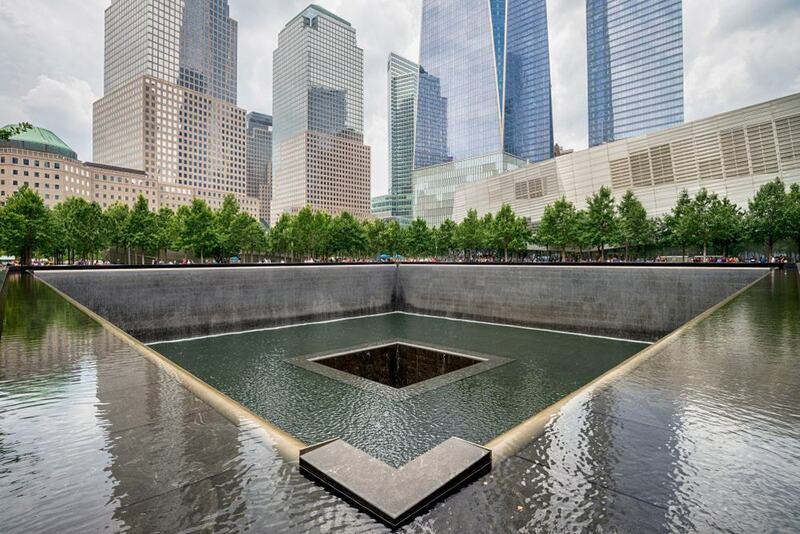 You will find more than 10,000 monumental artifacts from the terrorist attack on the Twin Towers, see the Survivor Tree – which miraculously survived the devastating attack – and watch the America Under Attack feature film. You will hear personal recollections from the attack, gain access to the 9/11 Memorial, visit the massive 9/11 Museum with its three exhibition sections, and honor the 2,983 men, women and children who perished in the attack. A trip to NYC is not complete without visiting the Statue of Liberty, save for one problem: you and a million others will be competing to gain access. 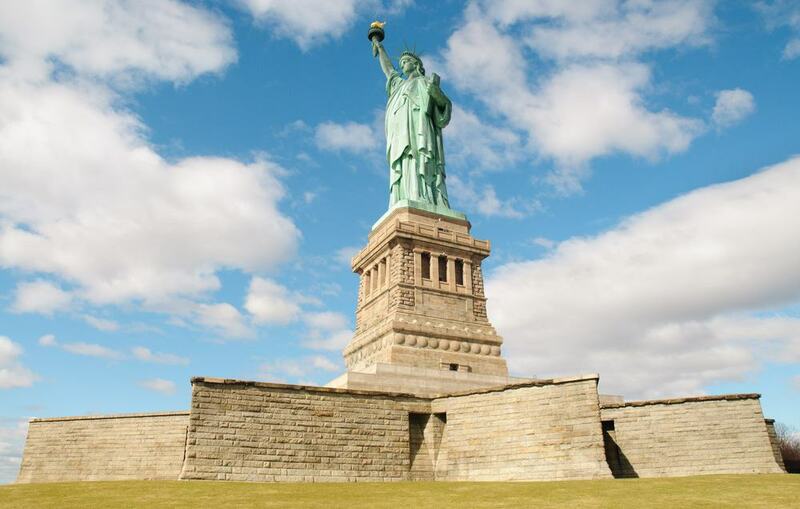 This four-hour guided tour grants you VIP status, letting you skip the long lines and head straight to Liberty Island. You will see Lady Liberty up close and catch amazing glimpses of Manhattan’s skyline and the New York Harbor. A short ferry ride will then take you to Ellis Island, where you will learn the tales of millions of immigrants who passed through what was America’s busiest immigration station between 1892 and 1954. The beauty of this tour is that it gives you ample time to explore at your own pace. The Top of the Rock is a unique attraction that offers panoramic views of Manhattan in one sweeping view. Sitting 260 meters (850 feet) atop the Rockefeller Center, getting to the open-air observatory simply known as ‘the Top’ takes a minute with the Sky Shuttle. 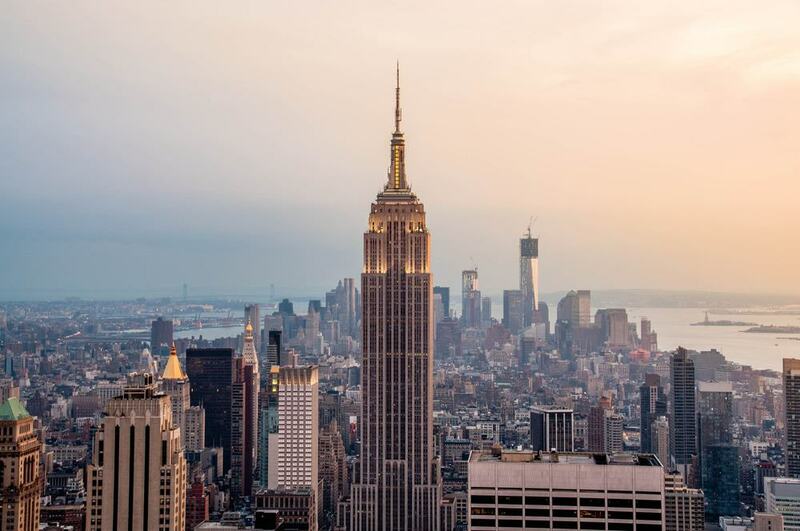 Enjoy breathtaking views of New York’s top highlights, including midtown and downtown Manhattan, the Empire State Building, Central Park, One World Trade Center etc. A short film about the construction of the Rockefeller Center during the Great Depression can be viewed on the mezzanine floor. This is truly a one of a kind tour that comes with a flexible ticket that does not restrict you to the original tour date selected. A gift from France in 1886, Lady Liberty may seem petite from afar, but up close you’ll find she’s pretty commanding; she is 151 feet tall, has a 35-foot waistline, and wears a size 879 shoe. This 60-minute cruise takes you within 100 feet of her and cruises under the Brooklyn Bridge as you make your way to Ellis Island. 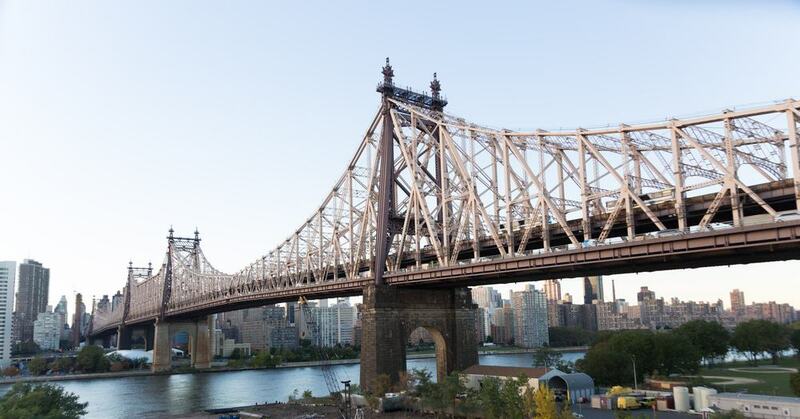 As you glide through the East River, you will appreciate NYC from a different perspective as your English-speaking guide points out the city’s famous sites. The 60-minute sightseeing cruise has audio commentary available in eight languages. It will offer you the chance to get perfect snapshots of famous spots, as you enjoy Manhattan’s skyscrapers and beautiful skyline. 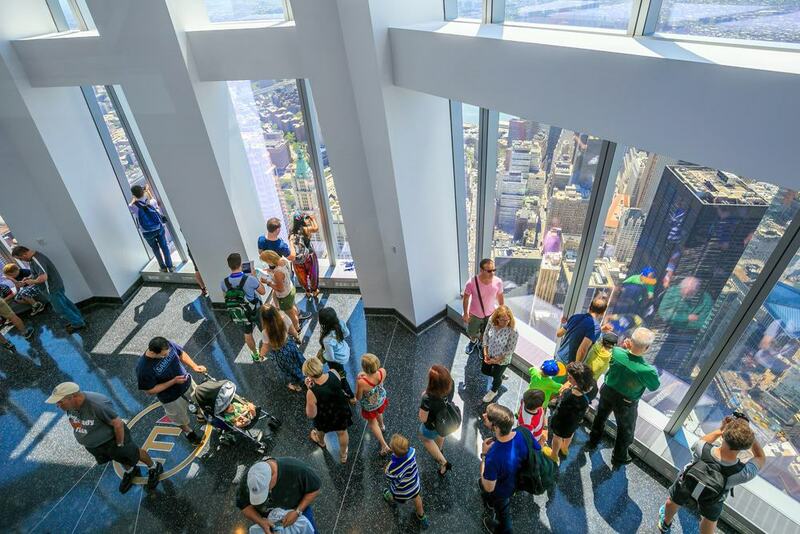 If there was one way to see the whole of NYC in one panoramic view, it would have to be at the One World Observatory. This is the tallest building in the Western hemisphere, and this ticket lets you skip the massive queues and head straight to security. Sky Pod – one of the fastest elevators in the world – will get you to the top in a mere 47 seconds as you enjoy a virtual time-lapse show of how NYC has transformed since the 1500s. New York City will be yours once you get to the top, where a wealth of activities await – from taking a pulse-racing walk 100 floors above the streets of New York in the see-through Sky Portal to getting a feel of NYC’s unique rhythm and pulse in the Sea Forever Theater, and much more. This is a four to six-hour educational tour ideal for the sightseer who knows exactly what they want. It starts with a 30-minute guided visit to Battery Park to see and learn about its history and monuments such as Castle Clinton and Bosque Gardens and Fountain. 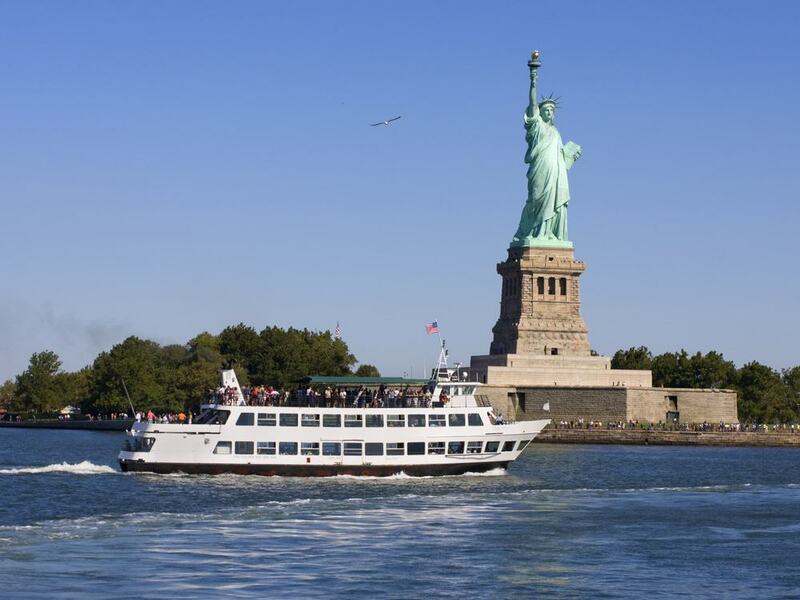 Then take a ferry to Liberty Island by enjoying priority boarding, which will save you precious time. Your ticket grants you admission to the Statue of Liberty pedestal and Pedestal Museum, before crossing to Ellis Island to learn about the experience of the 12 million immigrants who passed through here at the Ellis Island Immigration Museum. This popular 2.5-hour guided tour by Circle Line is an amazing way to cruise around Manhattan Island, enjoying its magnificent sights as you pass under the city’s iconic bridges. 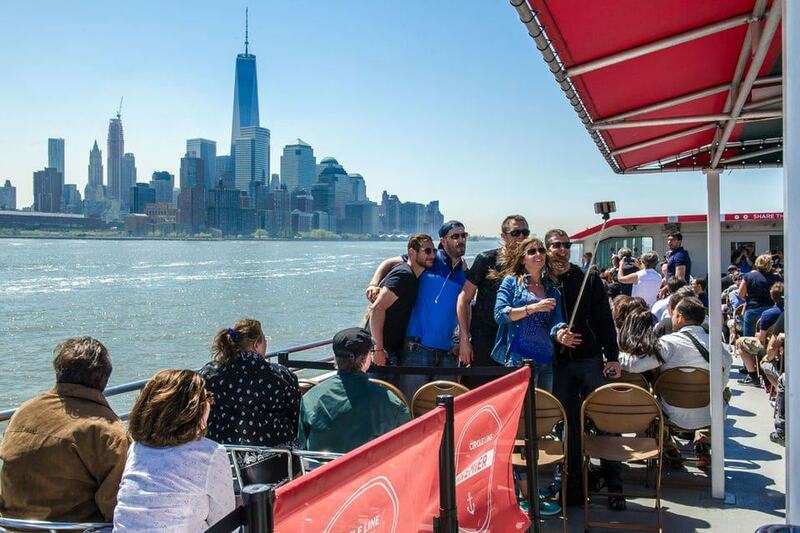 This is the only sightseeing cruise that circles the whole island, passing three rivers, more than 20 bridges, and all of New York City’s five boroughs – Manhattan, Staten Island, Brooklyn, Queens, and the Bronx. 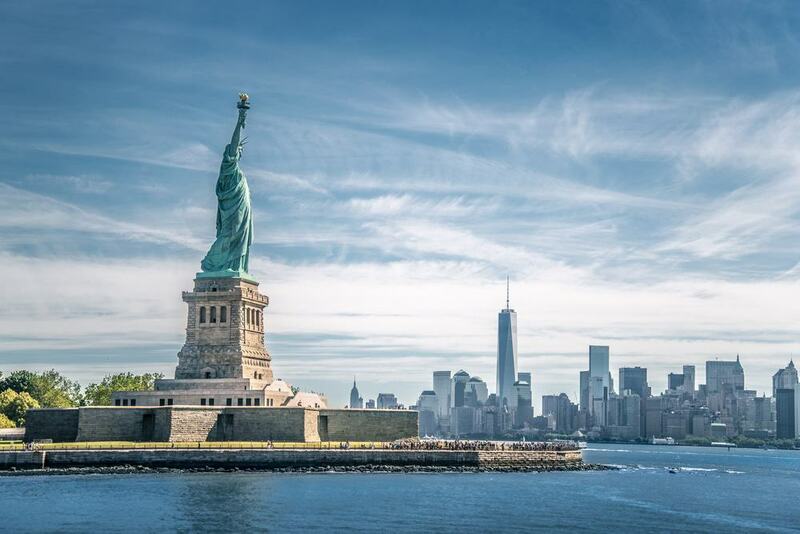 There are more than 100 famous sights in New York to see, with knowledgeable tour guides providing interesting insights about each attraction. Tour commentary is also offered through a multilingual app you can download. Just make sure to bring a good camera with you. We get it, New York City has a lot to offer, and paying for admission at every destination can really add up. But with the NYC Explorer Pass, this need not be a concern. With a list of over 80 attractions to choose from, this ticket guarantees maximum value by shaving off 50% from admission fees at either 3, 4, 5, 7, or 11 attractions of your choosing. 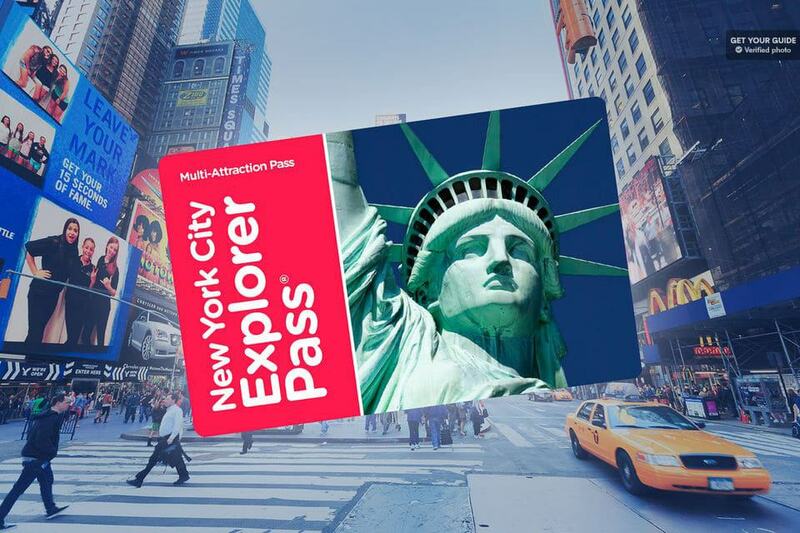 Choices include the Empire State Building, Top of the Rock Observatory, New York Botanical Garden, 9/11 Memorial & Museum, Statue of Liberty/Ellis Island Ferry and other major highlights. The Explorer Pass includes other discounts related to shopping, dining, and entertainment, ensuring you save even more along the way. 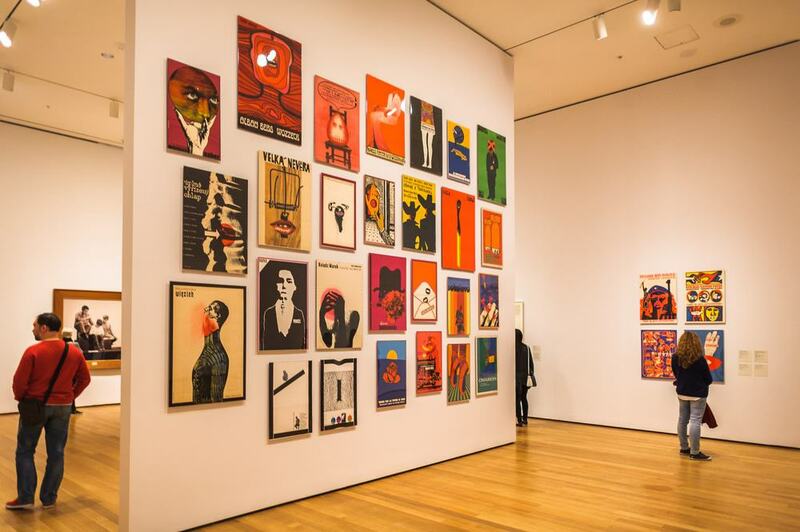 MoMA houses the world’s largest collection of modern and contemporary art, providing a link between the past and present, the conventional and contemporary. Skip the lines and go on a discovery of iconic paintings, including Picasso’s Three Musicians and Les Demoiselles d’Avignon, The Persistence of Memory by Salvador Dali, Vincent Van Gogh’s Starry Night, and many more from a collection of almost 200,000 works courtesy of over 10,000 artists. In addition to the paintings, the museum has photography, sculpture, prints, photography, film and a popular gallery specializing in architecture and the best of modern design. There are free Activity Cards for kids to use in different sections of the museum, with plenty of dining options available for when the munchies strike. If you’re interested in more in-depth information about New York City’s most famous woman and Ellis Island, this guided tour is for you. You’ll meet with your guide at Battery Park then start your excursion at the American Merchant Mariners’ Memorial and the Castle Clinton National Monument. Then enjoy priority boarding on the Statue Ferry, which will take you to the Statue of Liberty – you’ll even get the chance to climb up the pedestal. 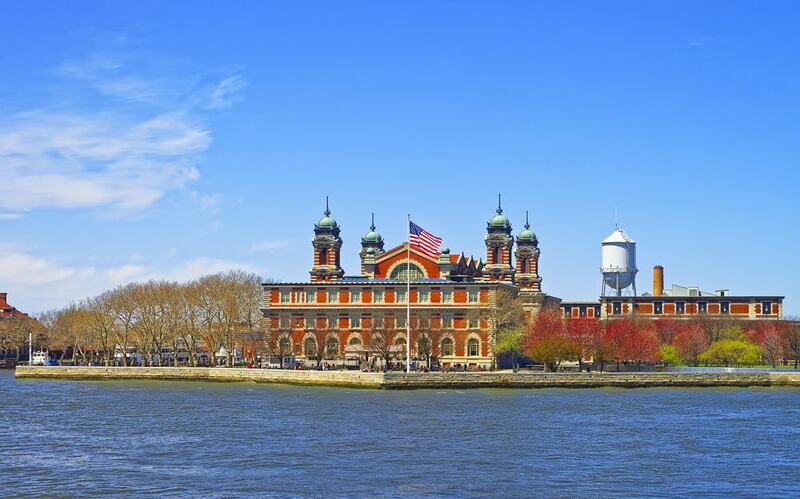 Wrap up the day with a guided tour of Ellis Island to learn about the remarkable history of the American immigrants which extends well beyond the museum exhibits. New York City has a wealth of historical offerings but that doesn’t mean the history lover in you can’t mix things up a bit. After all, it’s a reasonably-priced ticket and the trip will take you a day (14 hours to be specific). This tour meanders all the way to Washington, D.C., one of the most important places in the U.S. as far as history is concerned. 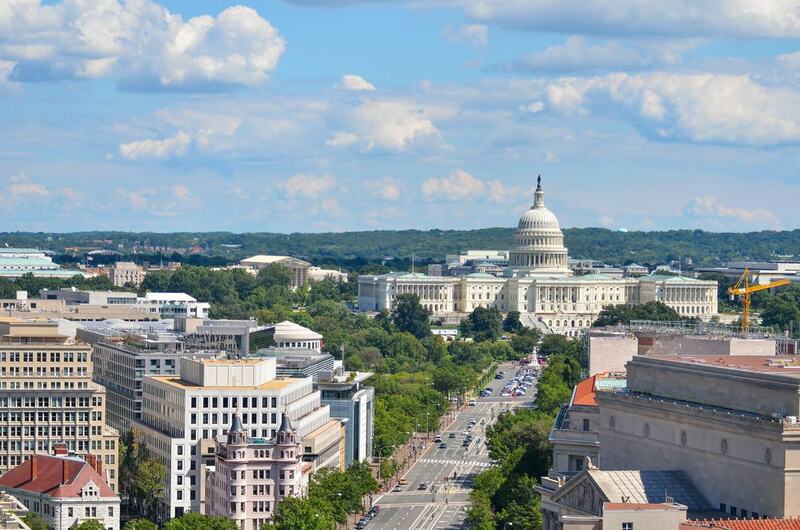 By the time you are heading back to New York, you will have learned a lot about America’s history as well as the federal government’s, given this is the seat of the U.S. government. You will visit the Capitol, the Senate, and White House. The history and fun will continue with tours to the famous Smithsonian Air and Space Museum; ditto visits to the Vietnam, Korean and Lincoln Memorials, not to mention the grave of former U.S. President J.F. Kennedy. Witnessing the land of skyscrapers from a bird’s eye view is bound to be quite the experience, and this helicopter tour of the Big Apple doesn’t disappoint. Take to the skies with a chopper equipped with floor-to-ceiling windows designed to give you the best aerial views of New York City and its many attractions. These include, among others, the imposing Statue of Liberty, the iconic Empire State Building, the 126-year-old Brooklyn Bridge, the beautiful Hudson River and the city’s green lung, Central Park. The tour lasts 15-30 minutes, but you will be glad you experienced NYC from this angle. Enjoying the highlights in New York City alone can sometimes make the experience feel incomplete. But this tour takes you off the beaten path to feel the soul of New York through trips to the boroughs of Bronx, Queens, and Brooklyn. Flanked by a local guide, this half-day tour will shed insights into lesser-known neighborhoods and show you the lives of locals firsthand – all experiences that allow you to connect with the city on a much deeper level. Go on a tour of Ground Zero and the 9/11 Memorial to pay your respects to those who perished in the tragic event of September 11, 2001. This is a poignant trip that takes you right to where it all happened. Guides for this tour comprise people with a personal connection to 9/11; they will tell you stories of the events, ranging from tragic to tales of bravery. You can visit St. Paul’s Chapel, see tributes to the victims of the terrorist attack, and should you opt for it, gain entry into the 9/11 Museum. Once this tour is over, you will gain a deeper understanding of what people went through during one of the darkest days in American history.